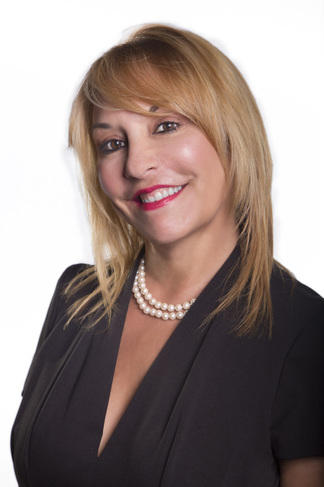 MEET OUR TEAM - Peninsula Title Corp.
Maria Pablos, a bilingual licensed title agent with over 25 years of experience, founded Peninsula Title Corp in December of 2003. With her profound knowledge in the industry, she developed a highly efficient company with trained and motivated professionals. Maria began her journey in the real estate industry working for a major title underwriter where she developed her keen skills in title requirements and overcoming title defect and closing challenges. A few years later, she worked her way up into a management position for one of the largest underwriting companies in South Florida. There, she was able to sprout into the leader and mentor that she has become to all those that now work under her wing. Maria’s model: “Make sure every decision you make, whether business or personal, is one that gets you on step closer to the dwelling place"
Yoly combines nearly 20 years of expertise in not only the title business, but also the mortgage and realty facets of the industry. Her well-rounded knowledge of the closing process makes her an excellent marketing representative who will stop at nothing to make sure your closing runs as smoothly as possible. A genuine “people person” who loves to help others and does so with a broad smile, Yoly becomes a friend through the closing process. Once you work with her, you will have no reluctance in recommending Peninsula Title as the best closing agent in Florida! With over 15 years of experience in the real estate, mortgage, and title services, Anna Soler-Sierra has first hand knowledge at all levels of the real estate transaction. Her experience and dedication make her the ideal person to have with you at the closing table. No excuse, no surprise, is what makes Anna strive to make the closing process as simple and as stress-free as possible for her clients. “My most important role as a marketing representative is making sure my client’s needs are acknowledged and fulfilled. I take pride in knowing that here at Peninsula Title, I am supported by an experienced staff, each with their own individual expertise.” Since each real estate transaction is unique, Anna offers a personalized service with dependable and friendly attention. She earns her reputation every day through the integrity, skills and dependability she brings to her work. Patricia “Patty” Garcia, graduate of Barry University, is a bilingual licensed title agent with over 15 years of experience. Patty's understanding in the importance of customer services is why she has a hands-on approach in the way she manages. Her experience and knowledge in the industry are vital in facilitating smooth transactions and withstanding challenges. Patty's leadership and dedication are demonstrated through the efficiency and professionalism of her superb team.